There’s no better place for retreating than Shipshewana, Indiana. Nestled in Indiana Amish country, it’s the perfect place to relax, recharge and retreat. 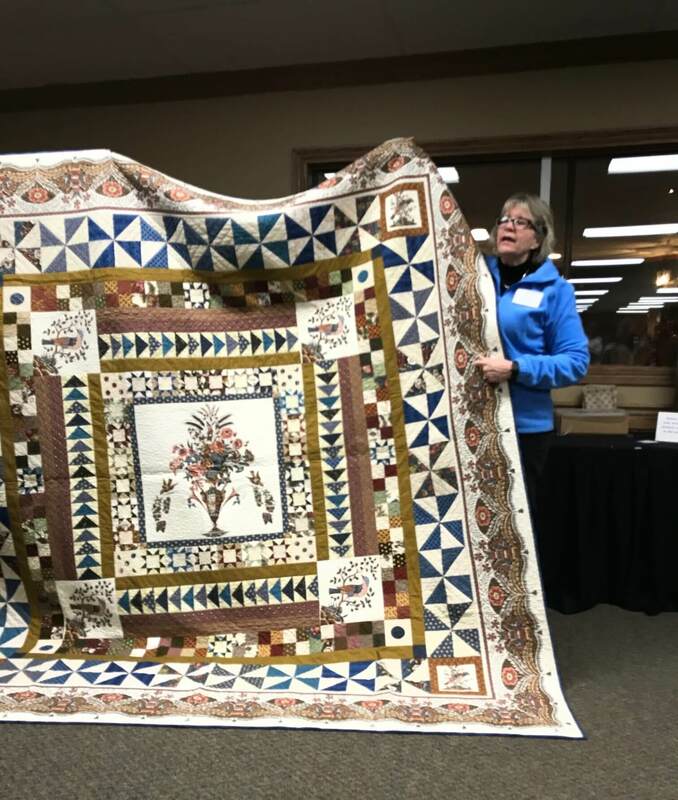 We’re excited to invite you to the Shipshewana Quilt Retreat! The February retreat (Wednesday – Sunday) features the annual Shipshewana Pajama Sale which always takes place the first weekend in February. Spend your time stitching, knitting, crocheting, sewing, rug hooking, any craft your heart desires along with shopping and taking in all the wonderful events around town. The April retreat (Wednesday – Sunday) is our welcome to spring. The flowers begin to bloom and we have lots of time to spend with old friends and make new ones too. There aren’t any classes so you’ll get lots of time to work on whatever project you want and have time for pie and shopping too. 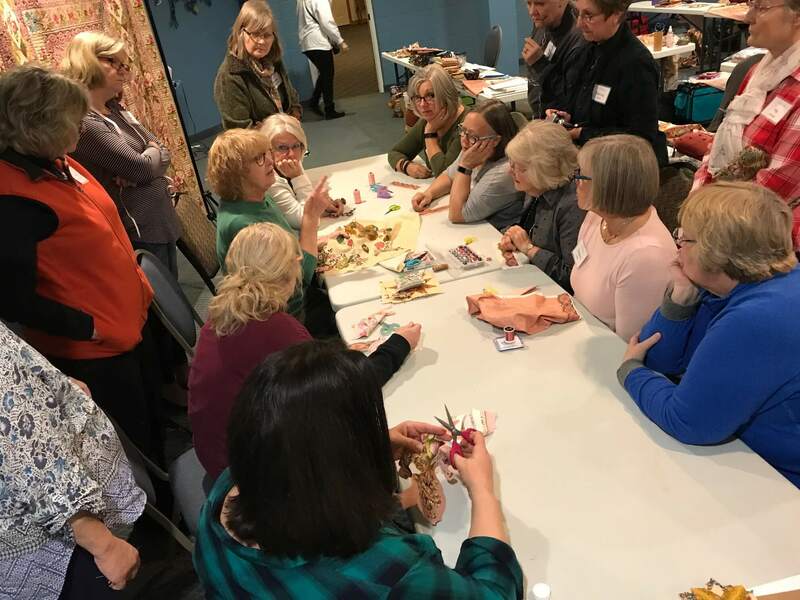 The November retreat (Wednesday – Sunday) is a mix of optional quilting classes and a special time to just get away, enjoy the sights and sounds of northern Indiana while stitching to our hearts content. Depending on the dates, we could be in town for the Christmas tree lighting and parade. We sew, shop, eat lots of great food, spend time with old friends and make new ones! Our guest teacher for November 2019 is Bonnie Hunter. 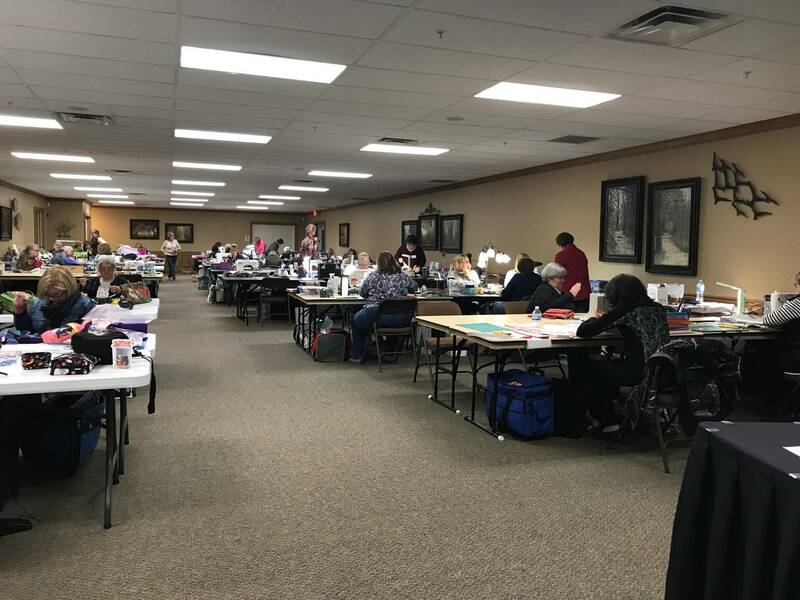 We love being with everyone, sharing your projects, making new friends, stitching with treasured ones and are excited to invite you to the Shipshewana Quilt Retreat! A group rate at the hotel – all you need to do is tell them you’re with Shipshewana Quilt Retreat . If you have trouble making your reservation just ask for someone in Group Hospitality. Sewing anytime, day or night – work on any project you’d like from Wed. noon – Sun. evening. Door prizes and maybe a game or two. “Show and Tell” on Saturday evening. Don’t Forget To Reserve Your Hotel Room! If you have trouble making your reservation, ask for someone is Group Hospitality or email me.